Cinedigm Entertainment Group, a division of Cinedigm Digital Cinema Corp., will release Chico & Rita, GKIDS' 2012 Academy Award nominee for Best Animated Feature, day-and-date on September 18th on cable VOD, DVD, and on DVD/Blu-ray in a Limited Edition Collector's Set, preceded by an early digital release on August 21. Oscar®-winning director Fernando Trueba (Belle epoque, Calle 54) and Spain's renowned artist and designer Javier Mariscal celebrate the music and culture of Cuba with an epic story of love, passion and heartbreak. 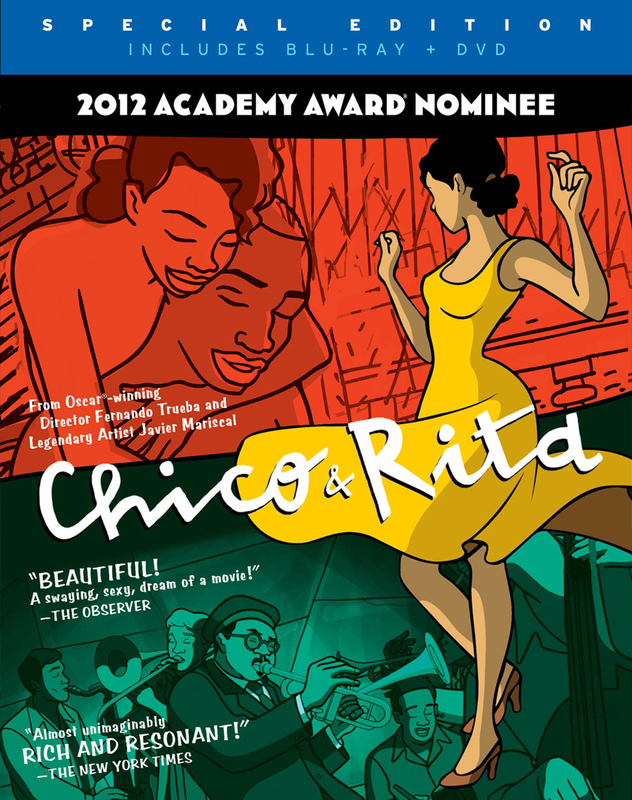 Fresh off its worldwide theatrical release, Chico & Rita earned more than $2.2 million at the box office, was Oscar nominated for Best Animated Feature, took home Best Animated Feature at the European Film Awards, and was an audience favorite at the Toronto and Telluride Film Festivals. Featuring a red-hot soundtrack by five-time Grammy-winning Cuban musician and composer Bebo Valdés, with the music of (and animated cameos by) jazz legends Thelonious Monk, Charlie Parker, Dizzy Gillespie, Tito Puente, Chano Pozo, and others. The Limited Edition Collector's Set includes Blu-ray and DVD discs, an audio CD of the full-length Latin Grammy®-winning soundtrack, and a 16-page excerpt from The New York Times bestselling graphic novel based on the film. DVD and Blu-ray bonus features include: Making of Chico & Rita Featurette, Audio Commentary with Directors Fernando Trueba and Javier Mariscal and U.S. Trailer.